Diabetes is a prevalent disorder throughout the world; it has become a universal topic for conversation superseding topics like heart disease or cancer. Self-care and taking responsibility for the illness are integrally important in diabetes so that the patient stays healthy and complications do not develop. Self-care consists of the following: a prescribed diabetes diet, indulging in daily physical activities and taking prescribed doses of insulin. Self-care is promoted through repeated education by doctors and allied health professionals who are knowledgeable in diabetes, pathophysiology and clinical diabetes care. The Handbook of Diabetes for General Practitioners is written for doctors to apprise the fundamentals of diabetes including its recognition as an entity, the discovery of insulin for the treatment of diabetes, pathophysiology of diabetes, and the development and progression of diabetic complications and how to minimize or prevent the complications. 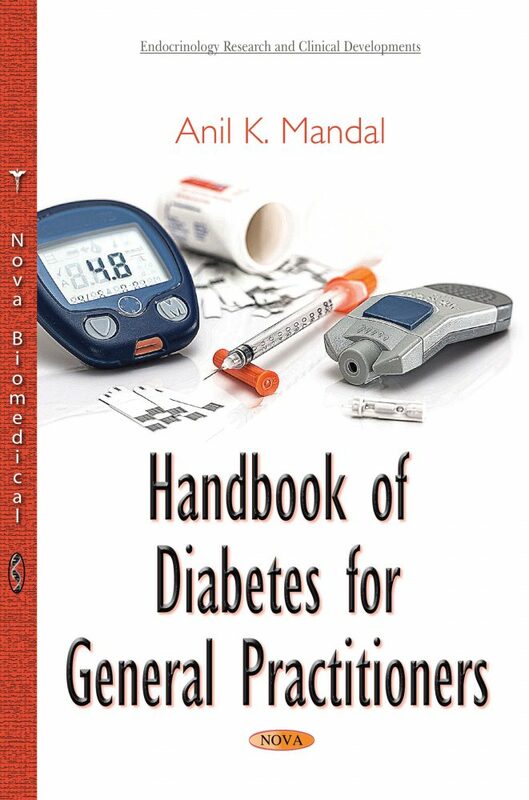 Also, several chapters are written to focus on the common flaws in the diagnosis and improper treatment of diabetes. Incorrect diagnosis and treatment of drug-induced hyperglycemia leads to the development of overt diabetes with a range of complications. Diabetic complications are serious, disabling and economically disastrous for healthcare providers. By reading this book, doctors and allied health professionals will be better prepared to deal with the adversities of diabetes to ultimately help their patients live a complication-free life. Chapter 1. Departure from Discovery of Insulin to Save Diabetes Patients from Dying to Treatment with Incretin Therapy to Promote Commercialism.